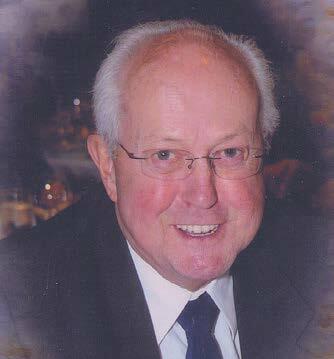 Chuck, 77, of Coquitlam, passed away peacefully after a very brief illness on April 24, 2013, with his family by his side. He was a loving husband and companion of 50 years to Pat; devoted father of son Scott, BEd’01 (Kerrie), daughters Sharon (David) and Susan, BASc’94 (Gregg, BASc’94); grandfather to Sydney, Connor, William, Madison and Jaxon; and was loved by extended family in England and many friends. Chuck was born on May 3, 1935, in Surrey, to Petra and Richard Turner and studied mechanical engineering at UBC before heading to Montreal, where he met his wife, Pat, who had come from London, UK, to work at Royal Victoria Hospital. After Montreal Chuck moved to Sherbrooke, where he married Pat and they lived for three years before spending five years in Ocean Falls. They relocated to Clearbrook, and then to Coquitlam to make their home and raise their family while Chuck pursued his engineering career. Chuck’s biggest joy was spending time with family. He also enjoyed curling, lawn bowling, golf, camping, travelling to sunny and exotic places, the grad group, music, and all sports, most notably the Canucks. Chuck enjoyed reunions with his fellow UBC mechanical engineering graduates, most notably the 50th reunion in 2010. Chuck was known by all for his cheerful personality, kindness, and sense of humour. He was much loved and will be greatly missed.